Unnerved by the raids of the National Investigation Agency (NIA) to probe terror funding in Kashmir by Pakistan, the three top separatist leaders, Syed Ali Shah Geelani, Mirwaiz Umar Farooq and Yasin malik, on Wednesday announced their decision to court arrest at the NIA’s Delhi headquarters on Saturday. The Mirwaiz and Malik sat on dharna with their supporters at the Jamia Masjid in the old part of Srinagar and announced their decision in a joint press conference while the NIA was busy searching eleven places in Kashmir and five places in Delhi in connection with terror funding. They alleged that the NIA had launched a “vilification” exercise against the separatist leadership, but we are not afraid of such tactics, they said. “We have decided to fly to New Delhi on 9 September, and hold a demonstration there. We will court arrest at the NIA headquarters because we are their main targets,” said the separatist leaders. They said that the central agency has “terrorised” the whole Kashmiri by repeatedly raiding houses of separatists and traders. “The Modi government is using the NIA to harass the leaders, businessmen and student community, which has been at the forefront of peaceful protests,” alleged Mirwaiz. They alleged that the NIA investigations against prominent separatist leaders and businessmen of Kashmir were an attempt to divert the attention from the Kashmir issue. “The government does not want to solve the Kashmir issue and is now using NIA to divert the attention from it,” they claimed. Mirwaiz alleged that the electronic media and social media were being used for a “vicious propaganda” against Kashmiris. Mirwaiz and Malik said they were not afraid of jails, which are already full of Kashmiri leaders and youth under preventive custody. “We are not afraid of going to jail but we will not allow vilification and insult of the people of Kashmir for demanding their right to self-determination. We will continue our struggle. 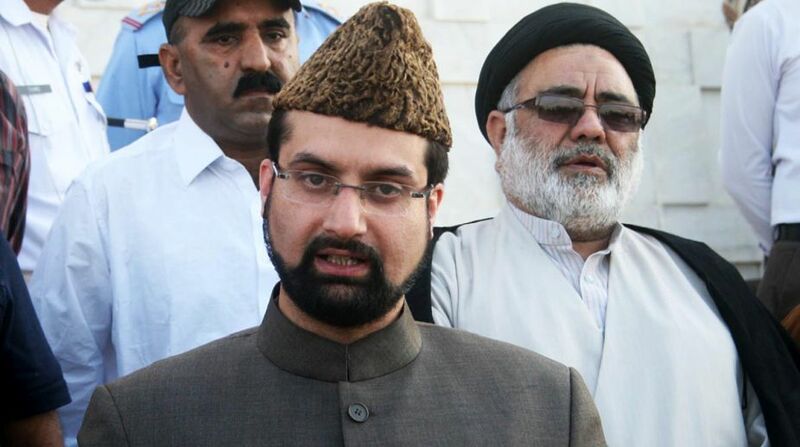 Let them keep the jails ready, we are ready to face it,” Mirwaiz said. Seven separatists have already been arrested by the agency on the charges of “waging war against the country” in an alleged case of funding. The Mirwaiz tweeted invitation for the “very important” press conference at 1 pm in the Jamia Masjid where he delivers sermons to the people during the Friday prayers. The NIA had first raided several places in Srinagar, Jammu, Haryana and Delhi after a separatist leader in a TV sting claimed they were getting money from Pakistan for fanning terrorism, burning schools and organize stone pelting at the security forces. Thereafter, raids were conducted from time to time as interrogation of the arrested separatists progressed. Geelani and Mirwaiz have almost every day been issuing statements against the NIA eversince Geelani’s son-in-law was arrested and his two sons were summoned by the NIA for interrogation. A politically connected businessman of Kashmir accused of routing hawala money to the separatists has been arrested and was being questioned in Delhi. A photo-journalist who allegedly fanned unrest and also pelted stones has also been arrested by the NIA. The separatists had called for “Kashmir bandh” last month against the NIA raids.